Hand held minimal expansion grade PU foam for precision application. Foam stays approximately at its extrusion size. Once cured it may be cut, sawn or plastered over after only two hours. Reusable canister, non leak valve. 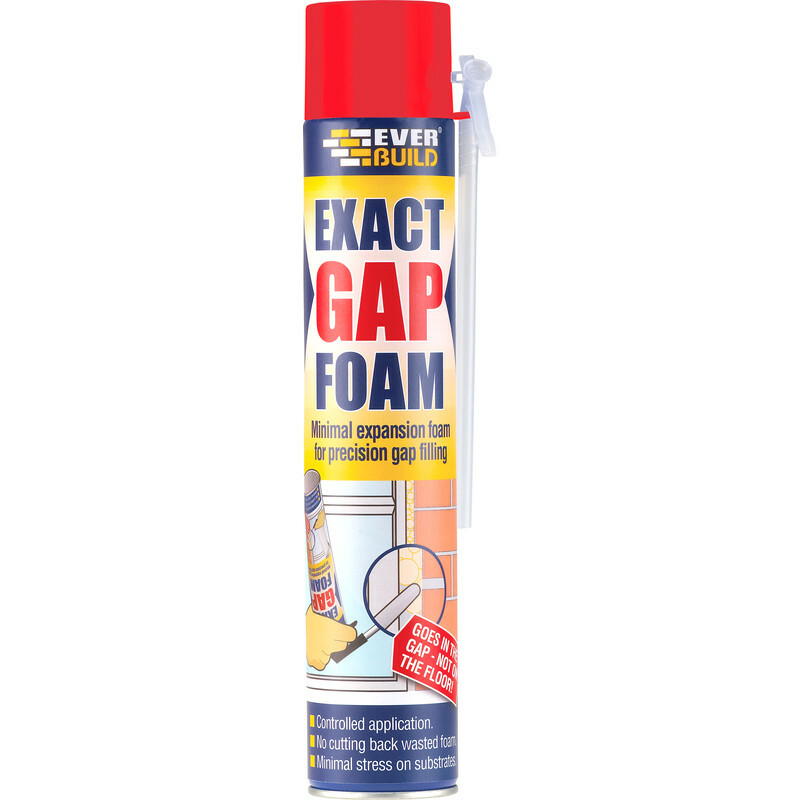 Exact Gap Hand Held Expanding Foam 500ml is rated 3.3 out of 5 by 26. Rated 5 out of 5 by Dillinger from Does what it says. Job around door fame completed without excess mess. Rated 1 out of 5 by Stroudie from Doesn't do what it saya on the tin I wish I had read some of the reviews on here before buying. This product expands at least 500%. The only difference between it and the gun grade foam I usually buy is that is much more expensive. Great if you want expanding foam - but I didn't! Rated 4 out of 5 by ColinMG from Good product I bought this to fill some small, up to 1.5 cm gaps. It is not exact as claimed but may expand less than ordinary foam filler. It did the job so that was good. I filled one day and two days later, surprisingly, the foam still came out the tube. Still some foam left in the can so I removed the tube and cleaned it out using xylene, reassembled and hopefully it will be ready to go the next time I need it. Rated 3 out of 5 by Fred22 from Not exact Bought this because I needed an exact fill that would not put pressure on surrounding material with expansion. Be warned this does still expand and it even says this on the can so why they call it exact I dont know - less expansion than the usual expanding foam, but a very misleading name in my opinion. Rated 1 out of 5 by tsxp from poor Bought this to fill gap around windows,no way is this "exact gap" extruded way out of gap.